This week we are hosting Space Week as part of Camp Mom and our Virtual Book Club for Kids Summer Camp! Last week we had so much fun with Pet Week. 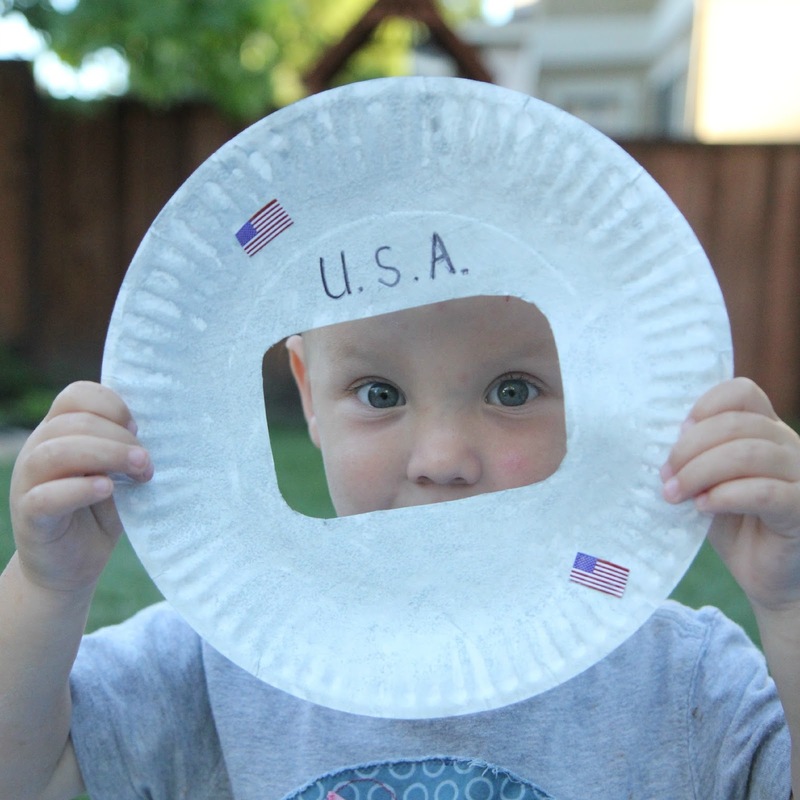 To kick off Space Week we made an American flag craft earlier today and this afternoon we made an paper plate Astronaut craft! 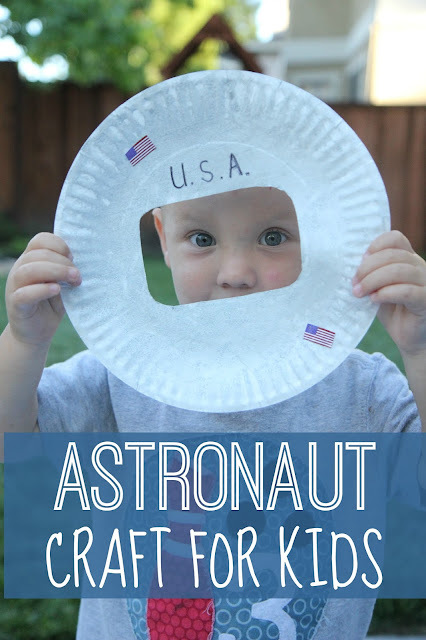 This astronaut craft only takes a few minutes but it can be used in two different ways! One with the photo and one without! 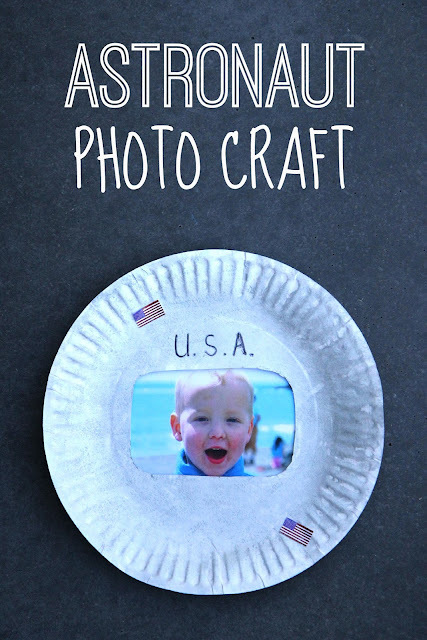 Start off by cutting out a little window in the paper plate. 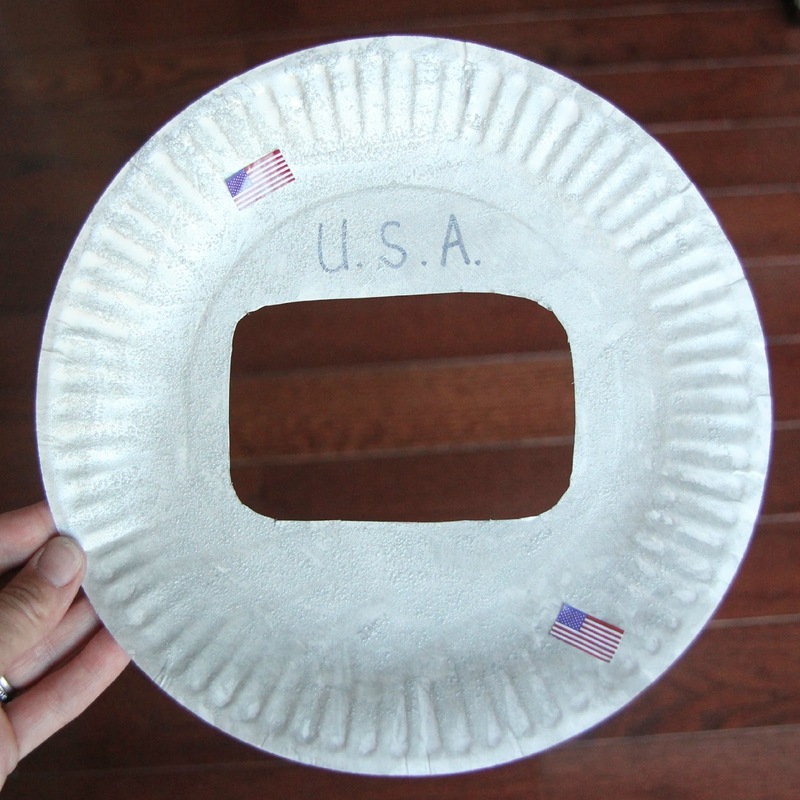 Next grab some silver paint and paint the front of the paper plate. Some people like to do the side that pushes outwords, we chose to do the side of the plate that rounds in just because it is easier to paint. Next your child can just play around with the astronaut helmet and pretend to be an astronaut. He can stick his face in and smile or run around and have himself and his space shuttle blast off. You can also turn the paper plate into a photo astronaut helmet by sticking a photo of your child on the other side of the window. I should've used a photo with no other background so that it looked more like my son was actually wearing the helmet (instead of playing at the beach), but he didn't care and loved the astronaut craft anyway! If you don't want to do any painting, you can also just keep the plate white and add flag stickers on it. Easy peasy! Do you have a little one who is interested in space and/or rockets? Make sure to follow along with Space Week to keep up with the other fun activities we share. 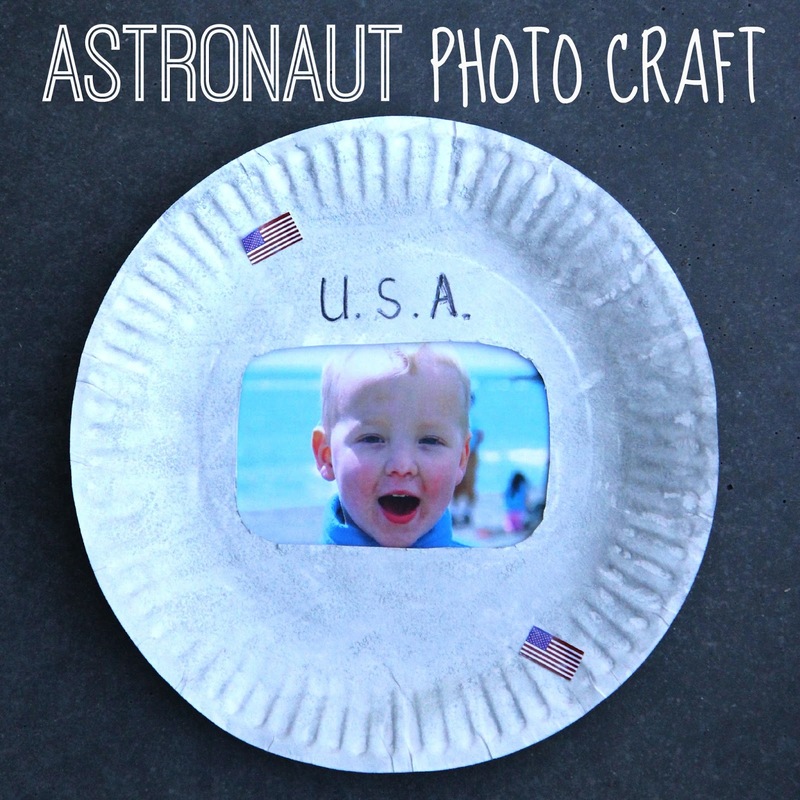 You can also check out some of our favorite space themed crafts and activities on my Space Crafts pinterest board that I started recently. If you have a child that likes rockets, check out these 10 cool rocket activities for kids.